Custom Fit: These Velour dash covers are custom designed to fit your dash perfectly. Quality Material: The material is soft and elegant as well as highly durable. Stops Plasticizer Migration: These velour dash covers stop Plasticizer Migration, which keeps the hazy film off of your windshield. 12 Colors Available: This Velour dash cover is available in 12 different colors including beige, black, caramel, cocoa, dash blue, grey, latte, navy, red, smoke, taupe, and wine. The DashMat Velour dash covers are offering you a soft and elegant look and feel. These velour dash covers are going to block harmful UV rays, stopping sun discoloration as well as unwanted cracking. Each DashMat Velour dash cover is custom designed to fit your vehicles dash perfectly. The high quality Velour material is UV resistant and won't fade or shrink with time, giving you a long lasting Velour dash cover. Plasticizer Migration is what happens when gasses leak through the dash and leave a nasty film on your windshield. 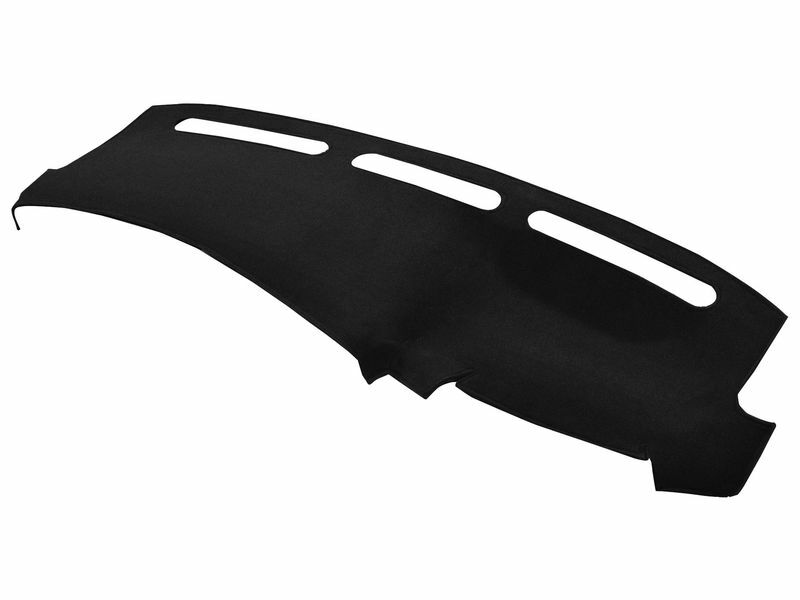 The DashMat Velour dash covers were designed to stop Plasticizer Migration, leaving your windshield haze free. These Dash mats are available in a huge array of colors that will look absolutely amazing. So if you are looking for optimal dash protection that looks and feels great, you have to look no more. These dash mats are offering everything you need and more. Covercraft is offering a 2 year warranty on the DashMat Velour dash covers. The DashMat Velour dash covers are designed for easy placement. They come standard with hook and loop fasteners for an easy and secure install. For additional information please call us at 1-877-216-5446 or 701-253-5906.